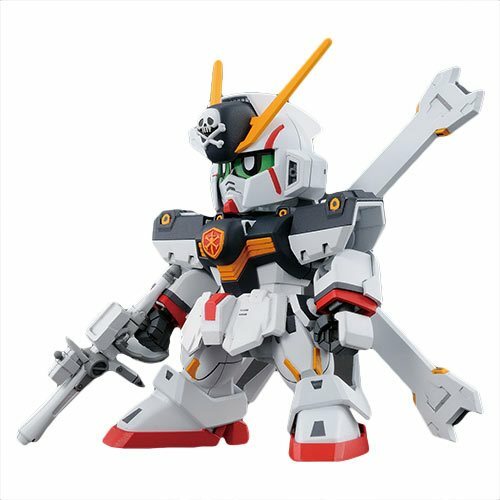 New to the SD Gundam Cross Silhouette line is the Crossbone Gundam X1! This kit has been recreated with individually articulated X binders. Gimmicks in the face of the MS allow the face to open and be recreated without the use of interchangeable parts! The Crossbone Gundam #2 Crossbone Gundan X1 Bandai SDGCS Model Kit includes SD Frame, 1x Zanbuster, 5x Runner, 1x Foil sticker sheet, and 1x Instruction manual. Measures about 3-inches tall. Ages 8 and up.